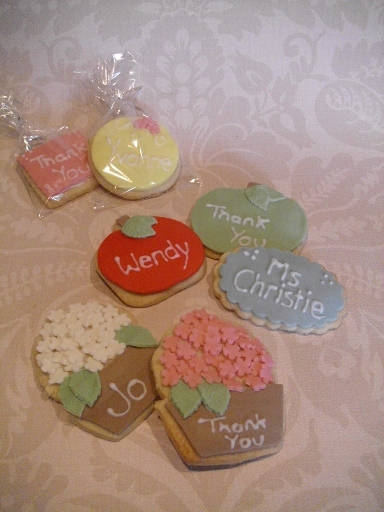 Why not get Jennie's Cakes delievered to your door. Deliverys are made Tuesday to Friday by Royal Mail. PLEASE NOTE price includes postage & packaging, if you would like to collect your order or would like local delivery please contact me directly. A box of 12 girls vanilla party bag cookies. Individually wrapped and ribboned. 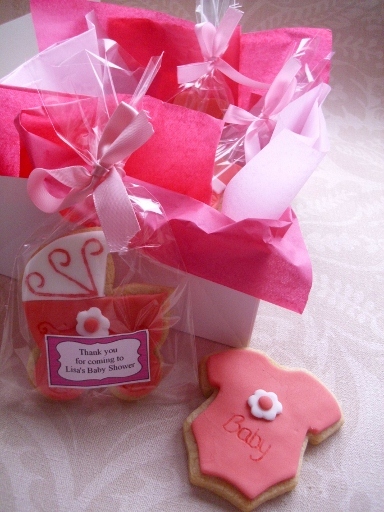 A gift box of 12 vanilla baby shower cookies, individually wrapped and ribboned with a message. A box of 12 farm animal vanilla party bag cookies. Individually wrapped and ribboned. A mix of cookies can be done. 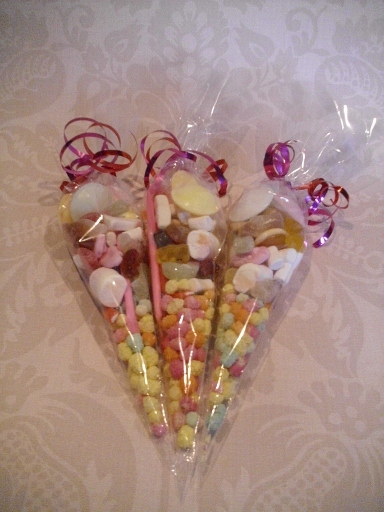 A bag full of sweets, a gteat alternative to kids party bags. A box of 12 personalised and individually wrapped vanilla cookies topped with fondant. Please suppply any names you would like when placing your order. A box of 12 dinosour vanilla party bag cookies. Individually wrapped and ribboned. A box of 12 individually wrapped and ribboned vanilla cookies. 1 dozen pops. Delicious balls of cake coated in candy. Available in chocolate or vanilla. Please specify when ordering. Other flavours and designs are available please contact me for more information. Candy coating is not suitable for vegaterians, chocolate coating alternative available. Six vanilla cupcakes, topped with vanilla buttercream and simply decorated with edable butterfly's. Can be done in different colours and decorations please advise when ordering. Great for chocolate lovers. Six chocolate sponge topped with chocolate buttercream and decorated with a chocolate beans. Six coffee cupcakes topped with coffee butter cream and a chocolate bean.